Hey Tek-Ninjas! 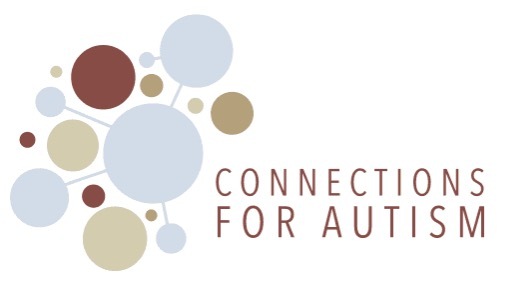 Today I'd like to tell you about a new service called Connections For Autism (CFA). CFA is a subscription-based, online platform for any and all educators. CFA provides educators with a wide array of tools to meet the needs of students with autism spectrum disorder (ASD). The service was created by a skilled multi-disciplinary team here in Chapel Hill. The team consists veterans from TEACCH, an Autism Specialist, Speech therapist, Occupational Therapist, Special Educator, Elementary Math Curriculum Specialist, Regular Ed Teacher, and a parent of a child with Autism. 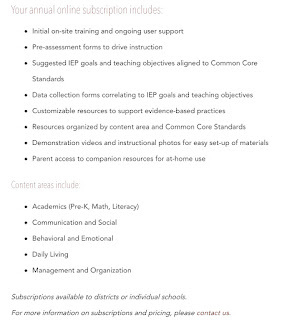 The tools include IEP goals aligned to Common Core Standards, assessment and progress monitoring forms, and a tremendous selection of differentiated materials to support evidence-based practices. I have been invited to have involvement in further growing CFA. So, yes, this time I do have some personal investment in the product being successful. I came on board because I was so impressed with the thoroughness and sophistication of this service. In addition, I have worked with several of the contributors over the years and count them as some of the best in their respective fields. The depth and breadth of support CFA offers for IEP teams is remarkable. 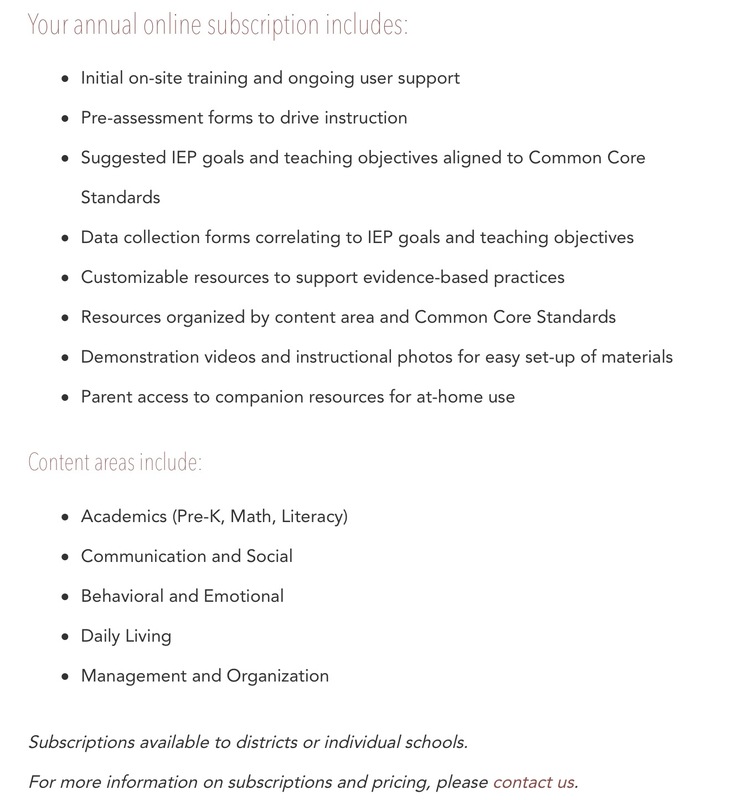 The service includes approximately 400 IEP goals, and all goals have progress monitoring forms. In addition, all non academic goals (behavior, social and communication, daily living and time management) have initial informal assessments. CFA provides several hundred downloadable materials which are all tied to multiple goals. This service could stand alone as a complete product. However, the design is that the service will continue to grow and revise as necessary. If you work with children on the spectrum this tool could really help shape your evaluations, interventions, and service delivery, insuring best practice, whether you work in a public, charter, private, or home school setting.